At Bathampton Methodist Church we seek to place the love of God, the teaching of Jesus and the guidance of the Holy Spirit at the centre of our lives and our worship. 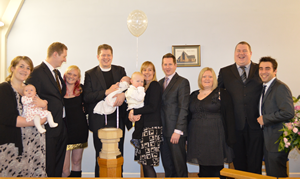 Visitors have spoken of the warm, friendly atmosphere found within the Church. Our services are held at 11.00 every Sunday morning, led by our own minister, other ordained ministers or local preachers. We use the ‘Singing the Faith’ Methodist Hymn Book and the New Standard Revised Version of the Bible (NRSV) within our worship. We would love to welcome you to our services, Emmaus Bible Studies, Craft Groups, Coffee Mornings, or Smile and Sing pre-school and parent groups. Our Emmaus Group for Bible study and discussion, led by Elizabeth our Minister, meets fortnightly on alternate Tuesday afternoons during term time from 2.30. The courses are usually based around a theme and are designed to offer opportunities to explore the Christian faith and discuss and learn with others. 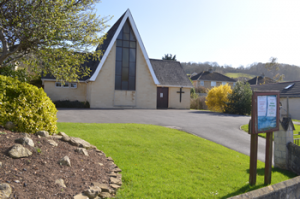 The Church is situated in the centre of the village of Bathampton to the east of Bath and is part of the North East Somerset and Bath Methodist Circuit and the Bristol Methodist District. Our Minister is always happy to be contacted (see ‘contact us’) about matters of faith, to arrange a visit, baptisms, marriages or funerals. 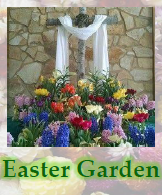 to invite you to come, see and share the story of Easter with us.